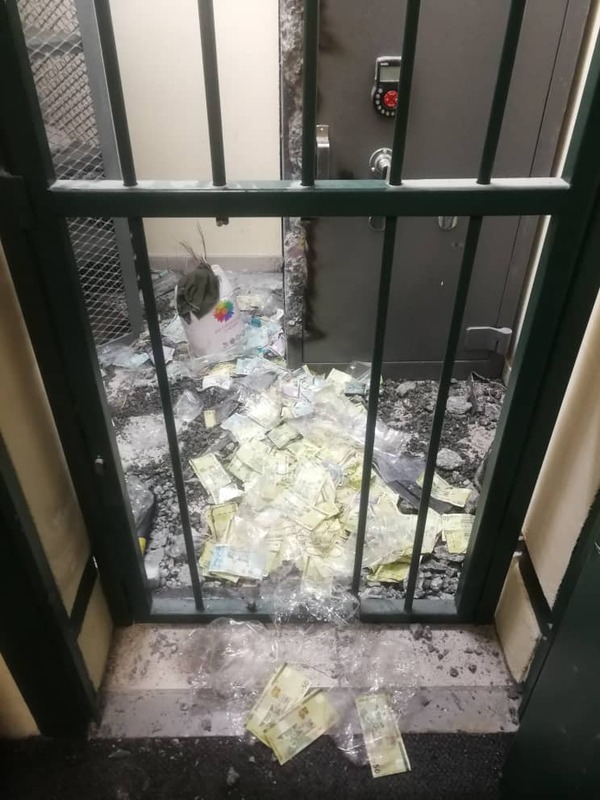 PICTURES found on the phone of a security guard showing the layout of the Nedbank branch in Otjiwarongo was the breakthrough police investigators needed to arrest five members of the gang that stole nearly N$3 million in cash during a daring burglary. The interrogation of the 37-year-old security guard, Natangwe Shikulo, who was in the employ of Rubicon Security at the time of his arrest last week Thursday, led to the arrest of the five men responsible for the brazen burglary a little more than ten days ago. 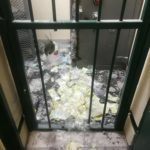 The first member of the gang, the 43-year-old Petrus Shipopyeni was also arrested shortly after police found the clear electronic trail on the security guard’s phone on Thursday. Investigators, following the digital trail of messages and pictures, arrested two more members of the gang, Immanuel Pandeinge (35) and Hophni Amakali (43), on Friday. 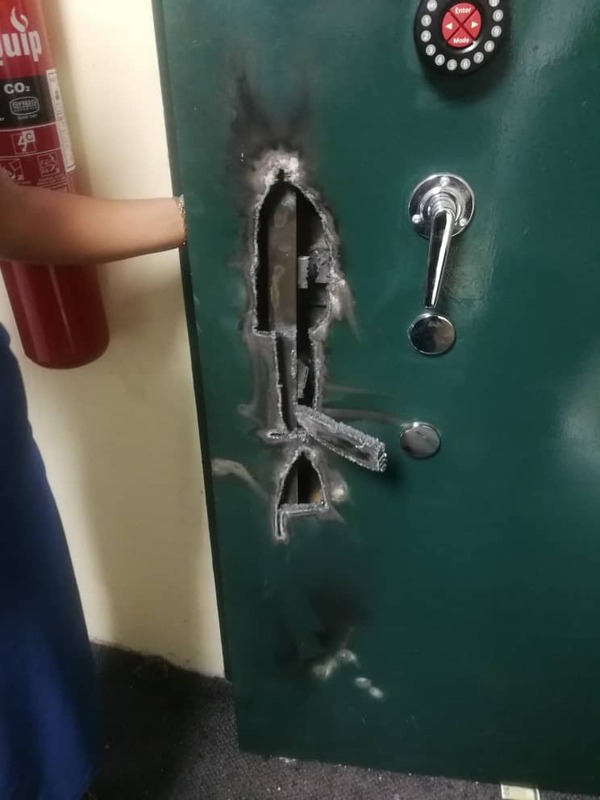 According to a manager of Rubicon Security in Otjiwarongo, Shikulo was not directly involved with the burglary because he was on night duty at another business in town at the time that the five men gained entrance through the roof of the bank to open the main safe with the aid of a gas cutting torch. 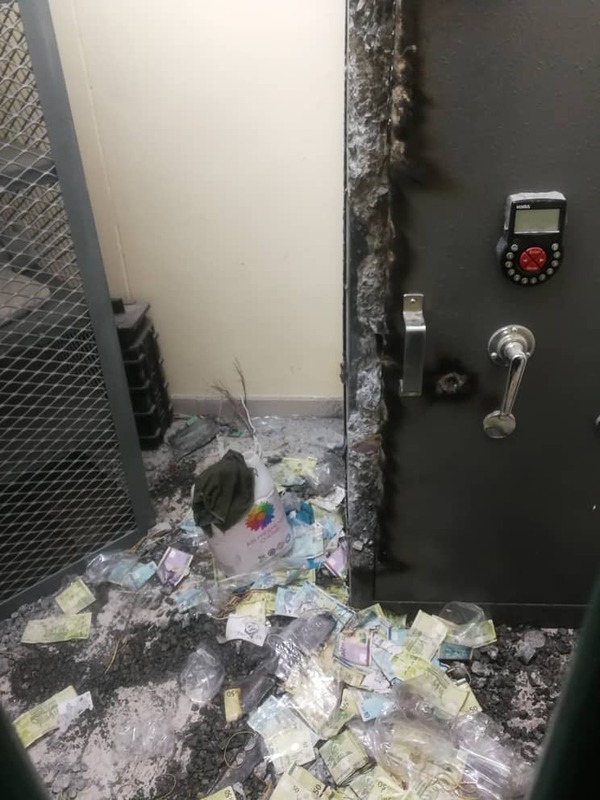 Some of the information provided by Shikulo enabled the burglars to disable the bank’s electronic security systems, to find their way around the bank to find and open the safe to get to the cash. On Monday, Shikulo, Shipopyeni, Pandeinge and Amakali made their first court appearance in the Otjiwarongo Magistrate’s Court on charges of housebreaking with intent to steal, as well as theft. During the court proceeding, they were formally informed about the charges they face and their rights with regard to legal representation and a formal bail application was explained to them by Magistrate Yvette Fredericks. Shikulo indicated that he will apply for a Legal Aid lawyer, while Shipopyeni, Pandeinge and Amakali indicated that they will defend themselves in court. Public prosecutor, Leonard Tjiveze, opposed the granting of bail on the grounds of the seriousness of the offence, that it would not be in the interest of the public and that the accused persons would abscond to avoid facing justice. Magistrate Fredericks ordered that the accused persons remain in custody and postponed the matter until 10 May this year to afford the police time to investigate the matter further. On Monday and Tuesday, investigators, still diligently following the digital trail, arrested two more suspects in the matter. They are 46-year-old Efraim Elago and 34-year-old Efraim Nailenge. Elago and Nailenge made their first appearance before Magistrate Fredericks earlier today. During court proceedings, they were informed that their case was added to that of the first four men and were also remanded in police custody until their next appearance on 10 May.